The FPAC supports all sorts of academic and research based dialogue of social, economic and technical nature between local and foreign institutions. It holds conferences, workshops and seminars and makes published as well as unpublished works accessible to interested spheres in order to promote intellectual discussion. 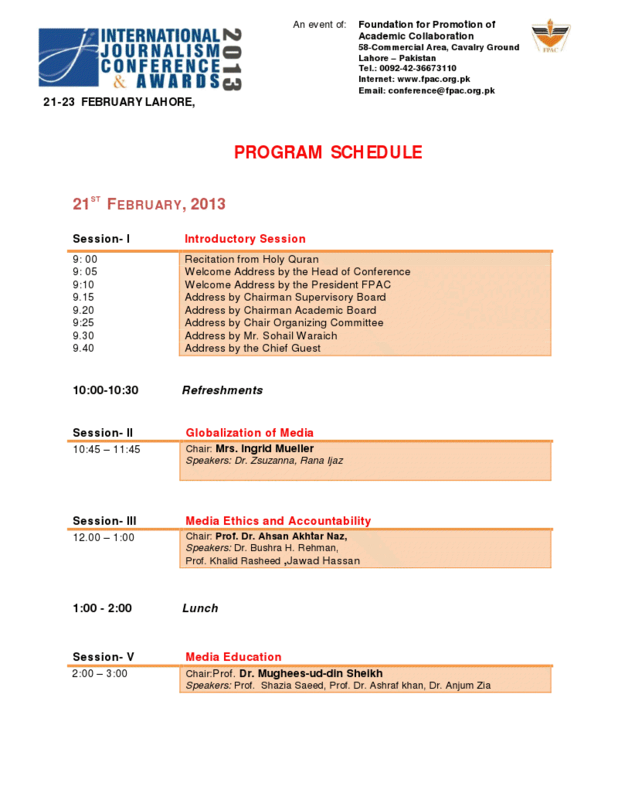 The International Journalism Conference 2013 has been scheduled on February 7-8, 2013 at the Pearl Continental Hotel in Lahore. The there os the Conference is: The conference focuses on the impact of social, economic, political, technological and educational changes on the practice of journalism. Technological revolution, growth in academic offerings as well as strong cultural, economic and political changes during the last decades has transformed this profession leading to a reconfiguration of communication methods and strategies. 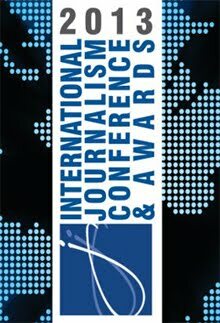 In a globalized world, where comparative studies and international perspectives are more and more relevant for understanding social processes, this conference aims to analyze the state of journalistic profession by addressing problem areas and evaluating future possibilities. 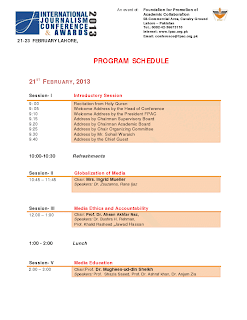 Details are here.